"Creative Courage? ?rekindled every ounce of inquisitiveness from the darker shadows of my soul. Altidor's unique insights into the 'what' and 'how' of innovation sparked a host of catalytic? ?questions  ones that warped my sense of self, professionally and personally. It's a compelling book that strikes every creative chord in a powerful, but productive way." 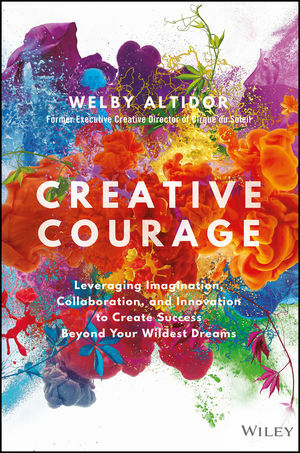 "Welby's remarkable book sets the stage for readers to uncover their own creative courage, and does so with so much exuberance and joy that any personal accomplishment feels not only possible, but inevitable." CHAPTER 3 - SECURING SAFETY: NO SAFETY, NO TRUST.